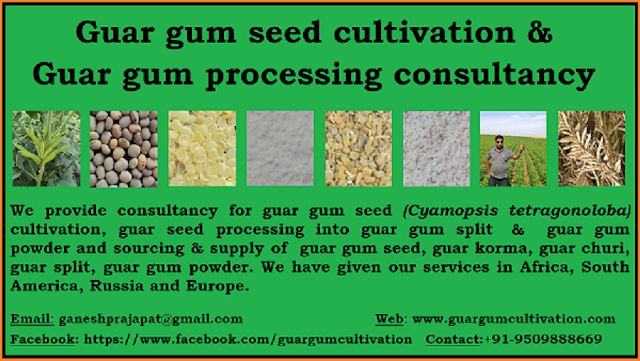 Guar seed and guar gum kept moving upward and reached at very good level. Guar seed reached to 3800/100kg and guar gum reached to the level of 7250 with news crop damage due to water scarcity and return of Monsoon. At the mid of week profit book leaded to further down fall in prices. After the profit booking Guar seed dropped to the level of 3650/100Kg. Guar gum dropped to the level of 7050. In the last of week, rainfall has noticed in scattered area in small– small patches. In some belt halls storm has noticed. There are two cluster of Guar first is early sown crop area and another is late crop sown area. If there is any rainfall in the late sown crop, then it is good but it is very dangerous in the early sowing crop. Matured pod will pop up with force of wind. If there is any precipitation, then mature crop will turn black. Late crop sown in rain fed area of Bikaner, Jodhpur, Barmer and Jaisalmenr has damaged on large level and there are no any chances of recovery. In some area of Barmer and Jaisalmer crop is delaying the flowing stage and it is growing vegetative. Crop has also damaged with halls and wind storm and a large level in productive area of Hanumangarh, Ganganagar and Haryana. Local farmers are asking administration for assessment of loss and compensation. Early crop has matured so there is no chances of disease and insect attack. But if there will rainfall and cloudy condition for 5-6 days then disease may outbreak in late sown crop area. Stockist are active in market and buying the new crop. Processors have fear if the crop production will remain low then they will have to buy the material at upper prices and it will bite their profit. Full-fledged stocking will start around 10th -15th October, when arrival will start from all the belts. As per market men once the demand will rise then stocking will consume most of material form market. Crude oil is keep moving between 40-50 USD/ barrel. No major improvement and downward movement has noticed. Since last one year it is stabilising below 50 USD/ barrel. This is a positive news for industry that oil rigs are increasing regularly. 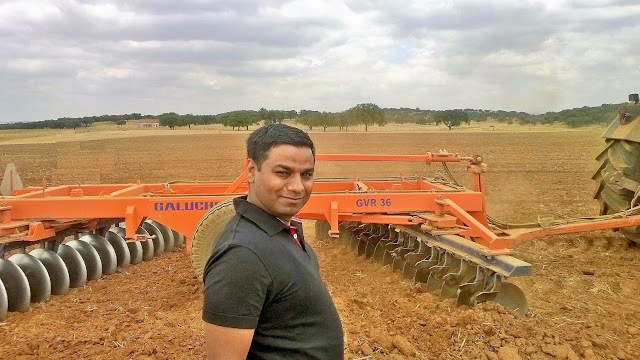 Major guar gum is used in fresh drilling. It is good for Industry that demand of Gaur gum is improving in market. Drilling companies are giving orders for long term supply some commission agent are creating problems and playing in market at minimum commission. Manufacturers must avoid the middle men so that prices could be negotiated directly with the end users. Estimate of crop is major puzzle in the Industry. With different view it is at different level. People who are in downtrend are estimating 3,00,00,000 Bags. Govt is estimating around 2,00,00,000 Bags. The person who are in upward trend are estimating around 50,00,000 Bags. As per independent sources crop is estimated around 80,00,000 - 90,00,000 Bags it is as per ground reality. People are worry about the carry over stock. Carry over stock is not a major issue as market can consume/stock around 2,00,00,000 Bags for long term if market is improving. Arrival has start bull fledged arrival will start around the 10th October. Before this farmer will try to sell the existing stock. Generally, in fresh arrival three is 18-20% % moisture. It will take time to dry the fresh harvest for 10-15 Days and moisture will come around 15%. 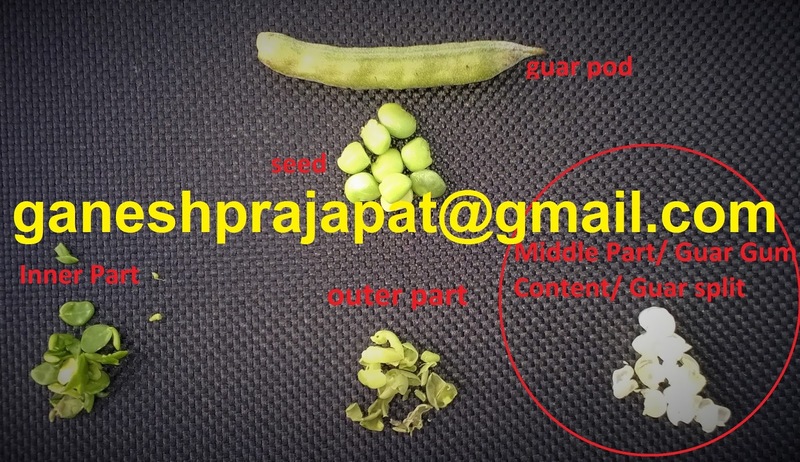 Generally, Guar is stored on 12% moisture. In one-year-old crop moisture is around 10-12% and farmers get good price in comparison to new crop. One-year-old crop will come in market for processing and fresh crop will go to stocking. Arrival has started in Haryana and Hanumangarh due to rainfall it will again delay by 5-10 Days has mature crop will take another 10-15 days in drying. It is a stable period. There are no any major chances of upward movement as there will pressure of physical arrival in markets. Prices will again reach to 4,000 level and time it will not move down. Stocking will increase with arrival and prices will not go down again. There will stability in prices and at this time there is requirement of stability. Once the 50 % arrival will complete then market will feel the low arrival and traders/ stockist will forced to increase the prices to collect more material. Arrival will also tight with increasing prices. Guar has improved from lower level first it was stabilizing above 3100 level after it improved to 3300 level, after that its stabilized above 3500 level. Now it is stabilizing above 3600 level. Next week is very important as existing contract will either settle of these will forward to next month contract. Guar remain strong in this week after return of Monsoon. It started to move from 3550/100kg and one tiem it reached 3750/100kg. Guar gum also remained strong it started to move from 6500 and reached to 6900.Some local demand was noticed but major impact was from the factor of return of monsoon. Late sown crop will damage on large scale. No rainfall has noticed in Guar growing belt. Monsoon has completely stopped. Climate is very Hot in Guar growing belt. There is no humidity in air. Dry air is blowing. Crop will dry within 10-15 Days. Initial rainfall was good but the second round and third round rainfall was very poor. Rainfall pattern was good for the early crop. But for late sown crop patter was very bad and crop did not get even second rainfall after the sowing. Rain fed area of Bikaner, Ganganagar, Jaisalmer, Barmer, Jodhpur is facing crop damage on large area. Around 40-50% crop will be damaged and rest crop produce will be of inferior quality. Major quality produce will come from Haryana, Hanumangarh, Churu and Some parts of Ganganagar. In these location there was early crop. Production Gujarat will be also poor. Only early sowing will be successful. No major disease and insect outbreak has noticed. This year disease outbreak conditions were not formed. In the last stage it is dry climate and crop is safe from any major economic loss. No major stocking activity has noticed but as per primary inputs of low production small traders have started to collect guar from the nearby area. As per market information stockist have dispersed some money to small traders for early collection of crop. Big processors are waiting for end of September and they will start from the arrival of crop. In the First stage around 1,00,00,000 Bags will be stocked. Crude is major factor which will decide the further price movement. No major price improvement has noticed in crude oil but it is stabilizing. Within this production cycle Crude will take a major upward movement and Guar will grow with this. It is good news that oil rigs are increasing in USA. Growing oil rigs will require drilling chemical and demand of guar gum will increase. It is very positive sign for industry. Ready stock in USA has come down. Right now no stock is available in USA. Last year there was problem of ready stock in USA. Now drilling companies will have to give the order for 6 month or 12-month supply. Crop is estimates around 80 Lac bags after failure of crop in rainfed area. This year irrigated crop was very less. Early crop is in good condition but most of cultivation was started in August and August crop is late crop and all the late crop are facing water scarcity. As per estimate crop will be remain around 75 Lac bags. There is no any chances of improvement in this figure. Arrival of crop has been started in Haryana specially in Adampur and Sirasa area. It is noticed that stockist are purchasing the arrival. Arival will start in Hanumangarh and Ganganagar in Next week. By first week of October arrival will start in Churu and by the mid of October will arrival will start in rets of area. Though the current demand is low it moving due to crop damage and low rainfall. Current upward movement will work as bridge between Stocking activity and price movement due to low rainfall. Now the prices will not fall freely by the end of November. In next week some profit booking can be noticed but overall direction will be upward. Market has come in buying mode. Prices are moving very fast in the forward market. Physical market is in selling position. More and more commodity is coming in market above 3500 level in fear of fresh arrival of crop after two months. All the stack holders in industry are denying the govt data of Guar cultivation. This weak is very critical for the growth of crop and growth of guar rates. If there will be no rainfall then crop will damage in large geographical area and production estimate will drop down to 40% of current estimates. Guar is very sensitive commodity with respect to demand and supply. Due to long self-life of seeds and longer storage capacity farmers choose to sell guar as last option. This year Pulses will come in market first then Guar will come in market. In irrigated area, most of farmers sell the gaur to traders against the advance, which have given by traders on credit during cropping period. As per crop cycle this is not a demand period. Demand will start after December and January. The peak arrival period will start after 15 Days. Market will run after the December. Guar seed and Guar gum recovered from lower level. In the starting of week Guar seed and Guar gum declined to very low level. Guar gum reached to 6000 level and Gaur seed reached to 3300 level with lower circuits due to increased cultivation area and good rainfall. But it recovered from its declined level and sustained to last level of 3500/100Kg for Gaur seed and 6500/100Kg for Gaur gum powder. Market is getting some stability. Rainfall has slow down. There is no news of fresh rainfall. As per weather prediction Monsoon soon will returning after 5th of September. There is no news of damaged on crop due to heavy rainfall in a large area. Early sowing crop will not require another rainfall and it got rains on all the major critical stage of Sowing, crop development, flowering. It is at pod formation stage and there is sufficient moisture for maturity and crop will start mature by last week of September and it will dry is October. At the last of October, it will ready for Harvest. For late sowing crop this is very critical stage. It will require another lot of rainfall for the crop development and flowering, if there will be no rainfall in next 15 Days then there will be crop damage in late sowing crop. The loss can be up to 40-50% on large area. News of insect and pest attack has started to spot. There is news from Bikaner and Hnumanagrh area that leaf spot disease has started to emerge with growing temperature and moisture. If the prices of Guar will remain low, then investment on plant protection be low and crop production will be loss. Most of guar crop is repeated crop on same plot on guar cultivation area so there are more chances of disease outbreak. This year there is more humidity so there are more chances of disease attack. Speculators are moving out from contract. Last week and in this week there were continuous three lower circuits and most of people who were doing speculative trading has faced heavy loss. Some people made the selling positions at lower level they are also in fear. Genuine investors are still stuck with their positions. This week most of agriculture commodities were under selling pressure and there was huge loss to speculative trading. It will very hard for them to re-enter in this trade. As per data released by the different Govt. Sowing of Gaur has reached to 32,00,000 Hectare. Right now no final figure has released. It expected that it may further improve. Rajasthan Govt released last data on was 22nd September,2016. The final estimated data will be compiled after release of final figure by all state Govt of Rajasthan, Haryana and Gujarat. Export demand of Gaur gum powder is stable. Right now it is around 30000 MT/Month or 1000MT per day. That is equal to processing of 3450 MT guar seed per day (with 29% gum recovery). 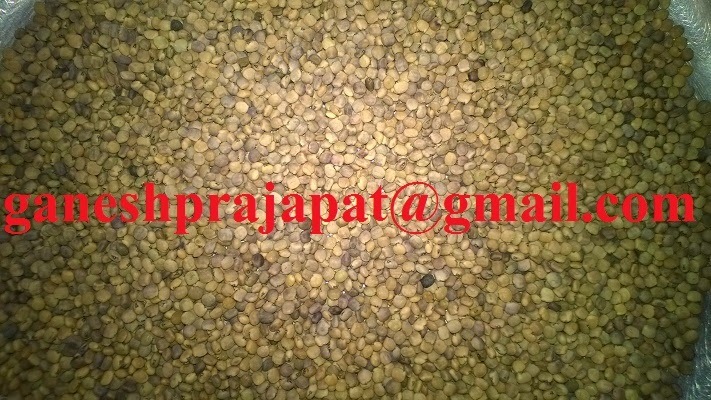 In this way there is annual requirement of 12,50,000 MT of Guar seed. Which is 2,50,000 MT higher than current production of 10,00,000 MT of guar seed. Crude oil is highly volatile at this time but is moving in between 40-50 USD/MT. It is expected that crude will improve by the end of this year. If crude improved more than 60 USD than it will give a support to Guar prices and guar may touch the level of 5000 or more. Prices will stabilize in next week. It will more toward 4000 level. With some news of crop damage prices will keep improving. At lowest level 3000 level is stable. In normal business prices will keep moving around 3500 level. With some positive news prices will reach around 4000/100Kg in this Month. We may see some fall in Churi Korma prices. Falling Churi Korma prices will lead to improvement in the Guar Gum prices.